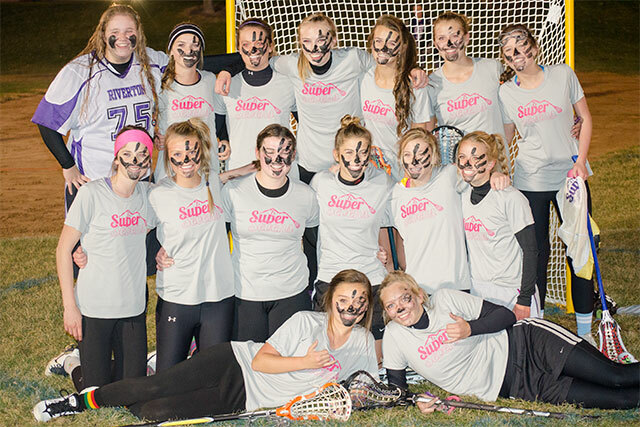 The 2012 Girls Super 7s season ended on Wednesday with 12 games including 3 championship contests including a rematch of the 2011 Championship game between Riverton and Bingham. The Gold Championship game was fast paced and intense while including great defensive play by the Silverwolves from Riverton and the Mighty Miners from Bingham. 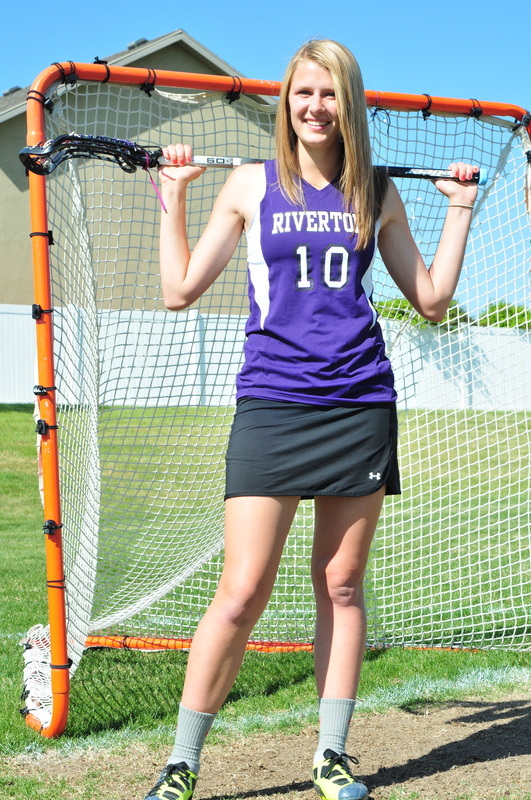 The Silverwolves held a 6-4 lead at halftime due to phenomenal goalie play by Mikala ‘Sharkbait’ Anderson who had 11 saves on 15 shots in the first half. 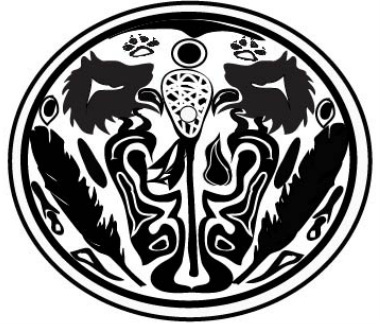 The game was tied at 9 with 6 minutes remaining which led fans to believe there would be another overtime game, however, the Silverwolves held strong on defense. 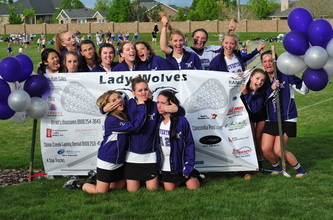 The Silverwolves offense scored on a free position attempt with 5 minutes remaining and an insurance goal at the 1 minute mark on a fast break. The Mighty Miners just couldn’t find the back of the net in the final minutes. 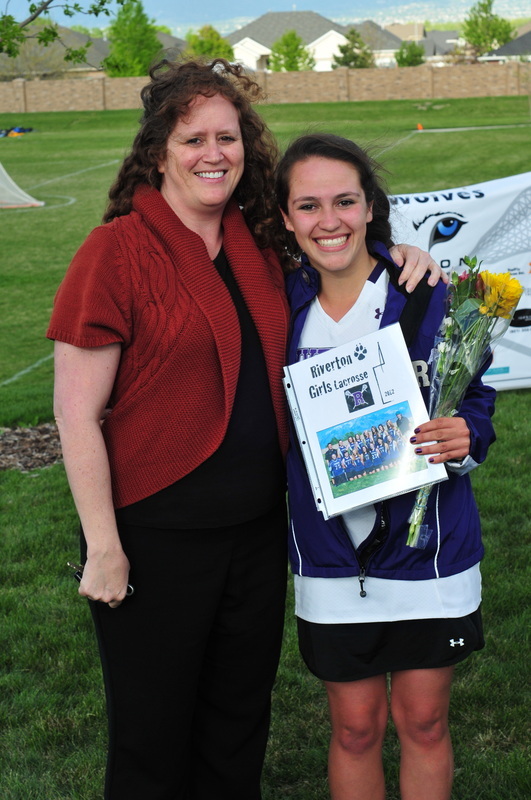 We love and will Miss You!!! 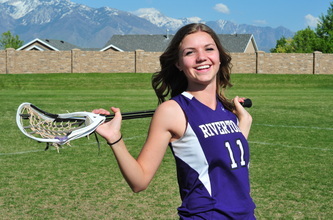 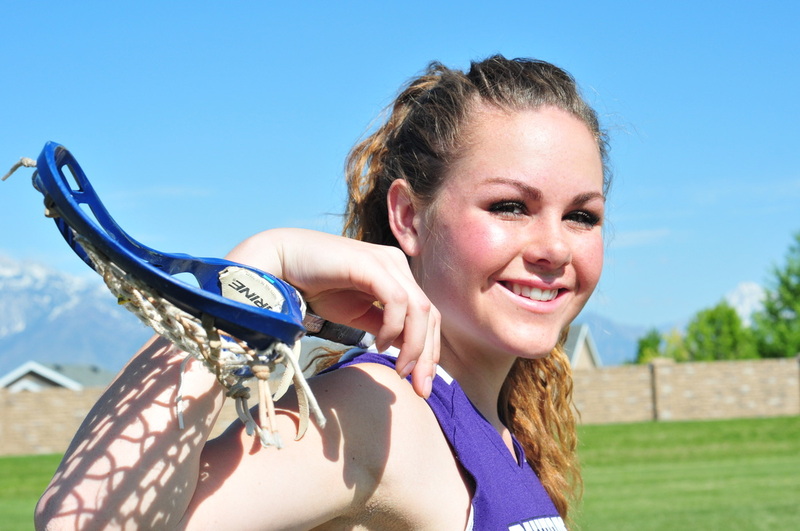 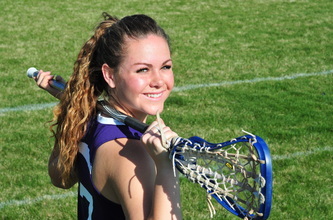 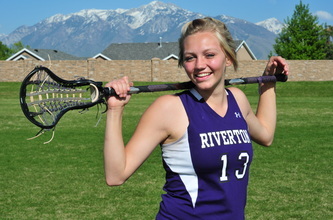 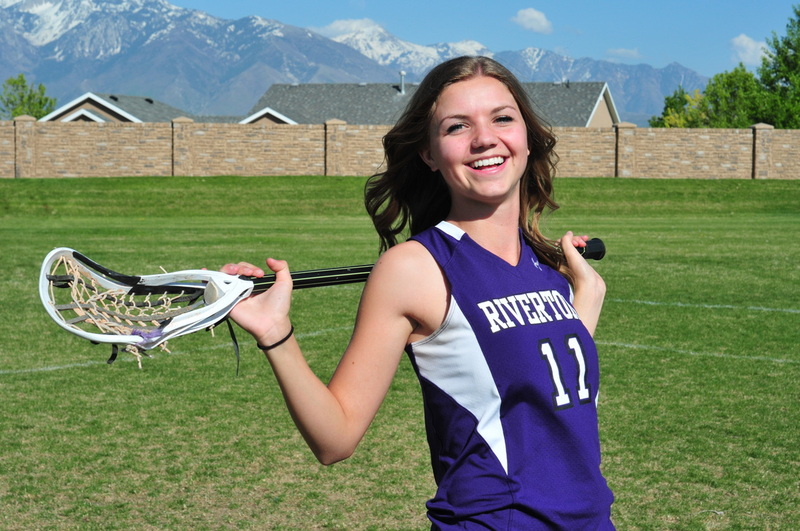 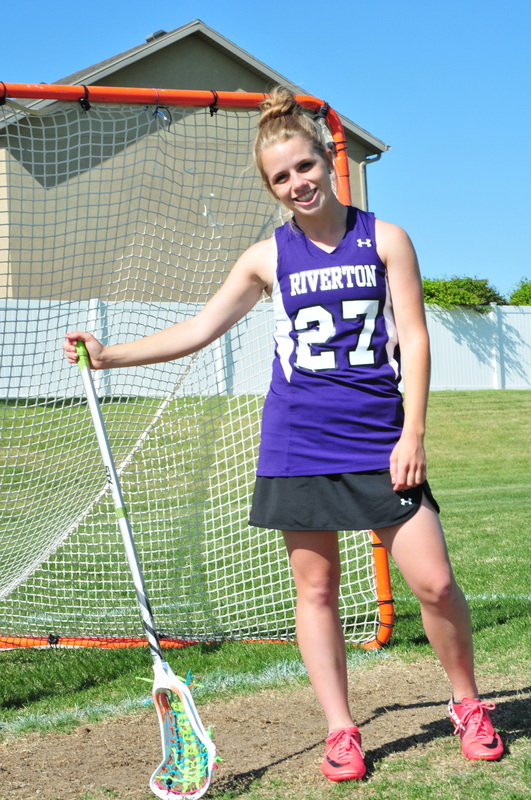 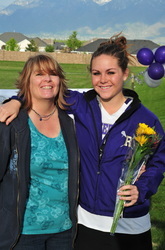 Riverton Lacrosse MVP Abigail Parsons was a fierce competitor for the team this year. 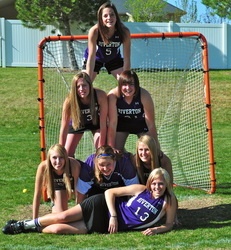 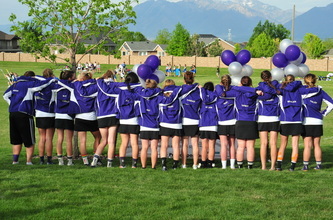 The Riverton girls lacrosse team qualified this year for the playoffs for the fifth straight season. The Silverwolves cut it close, with many of the games going down to the wire. 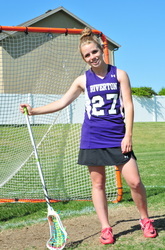 “It was a very interesting season. 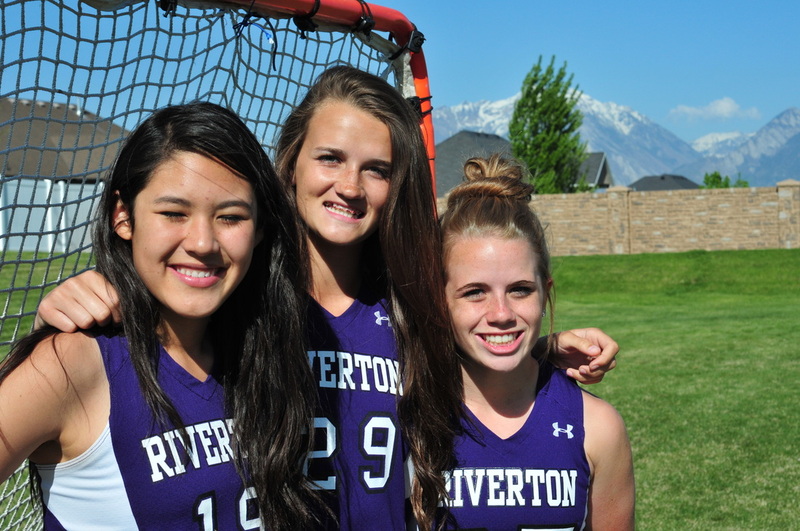 We made the playoffs just like we have every year the team has been in existence, but this year five of our losses came by one point each,” head coach David Oka said. Included in those close games was one against rival Bingham, in which the Silverwolves lost in the final 30 seconds 10-9. 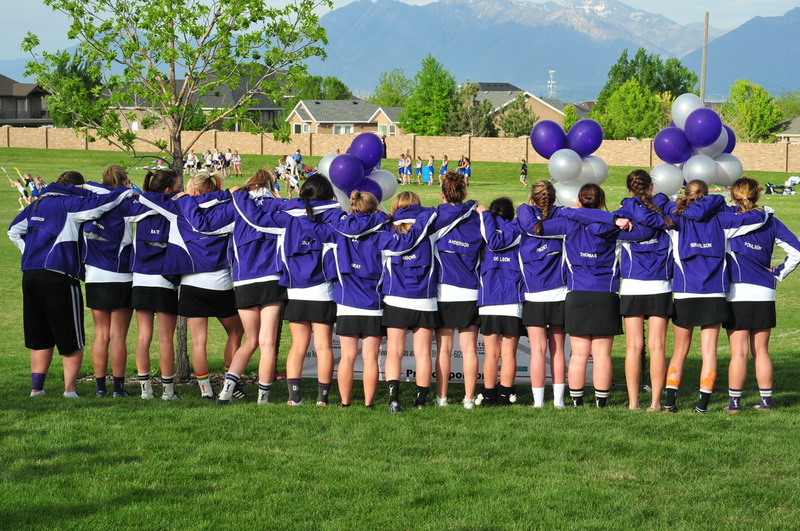 The team finished its season with a 6-7 record, losing in the playoffs to Park City 6-2. 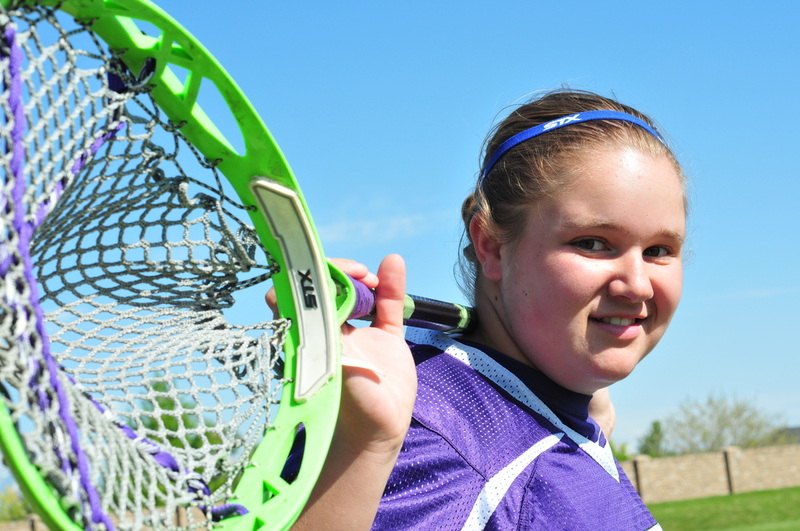 “We had a lot of girls that are new to the sport, and they picked up the game pretty fast,” Oka said. 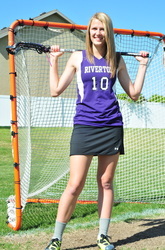 The Silverwolves were led by first team All-State goalie Mikayla Anderson, who had 112 saves this season. 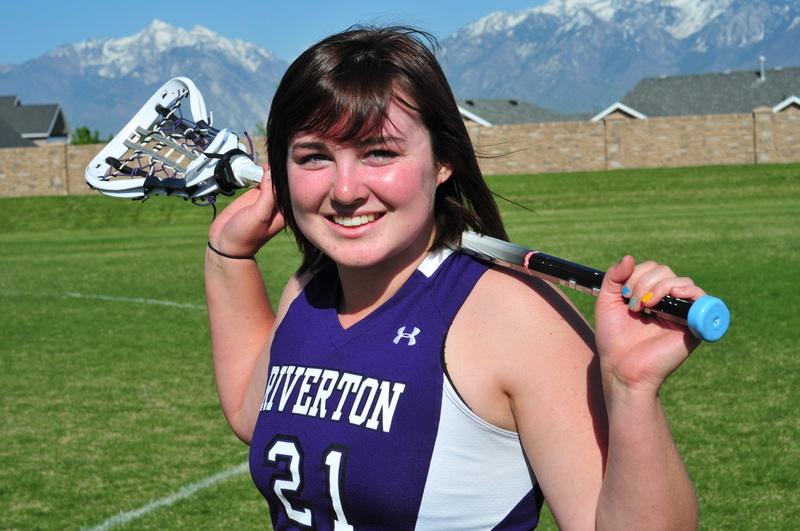 Senior Tori De Leon was voted second team All-State defense. 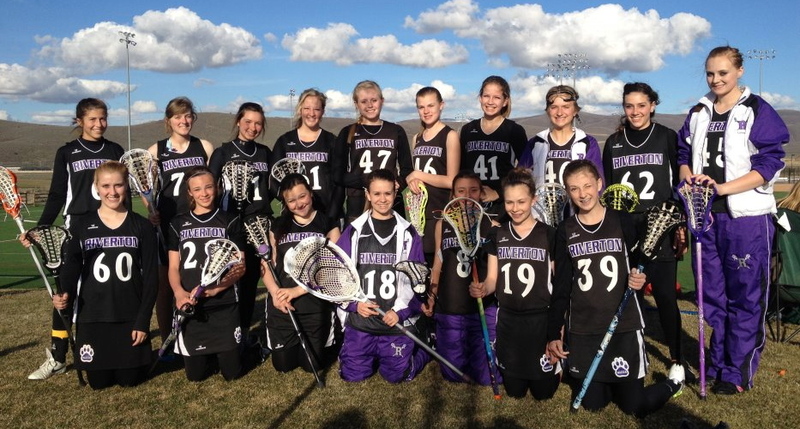 Kaylee Poulsen and Kierra Israelson led the team in goals with 24 each. 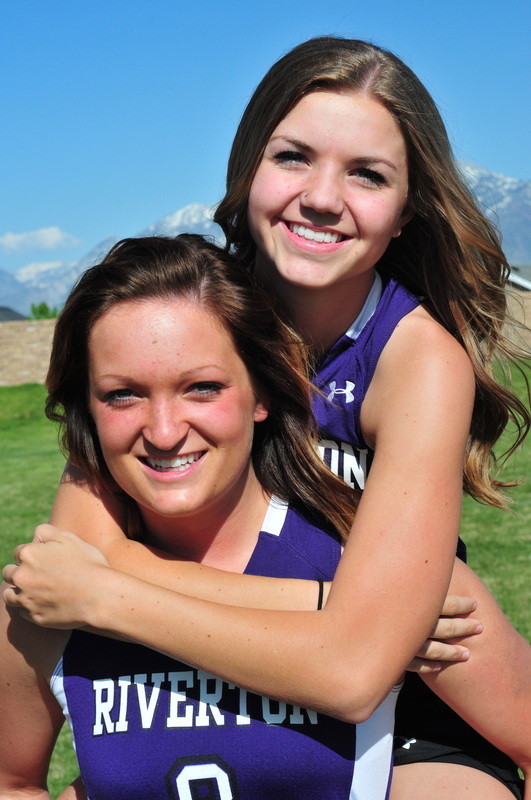 Avree Frost contributed 15 and Morgan Frampton had 12. De Leon received the team’s 2012 Most Improved Player award. 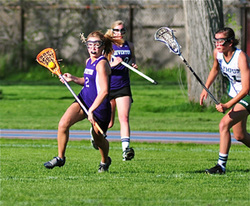 She had 45 ground balls, which is scored similar to a steal by “taking” the ball off the ground or intercepting it from the other team. 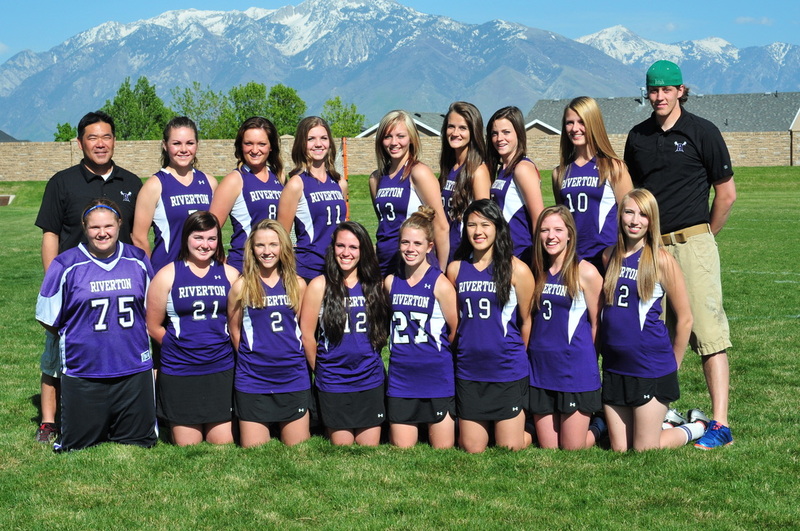 This year’s varsity team also included Abigail Parsons, Breann Bate, Brooke Gray, Katie Oka, Kelsey Brown, Nicole Larson, Nikki Thomas, Paige Rutledge and Wendy Anderson. Two of the team’s players were selected to play on the Utah National teams. Mikayla Anderson (U17 team) and Paige Rutledge (U15 team) will travel with the Utah teams to New York and Florida to play in national tournaments. 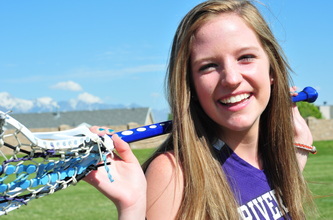 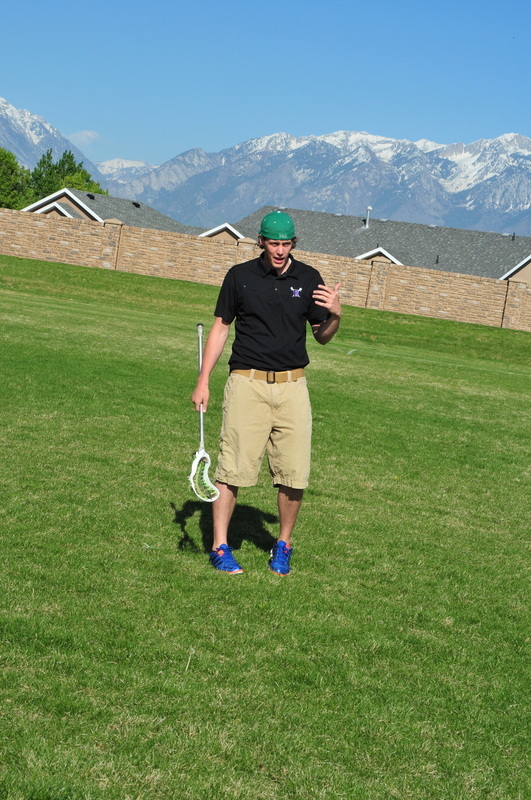 “We only lost to the finalists by one point each, so I think that bodes well for the future of Riverton Lacrosse. 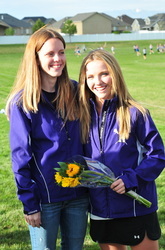 We are excited for these girls,” Oka said. The team’s assistant coach is Jessi Frampton and the junior varsity team is coached by Rosie Boren. “To play lacrosse, it takes good hand-eye coordination and some good cardio skills. 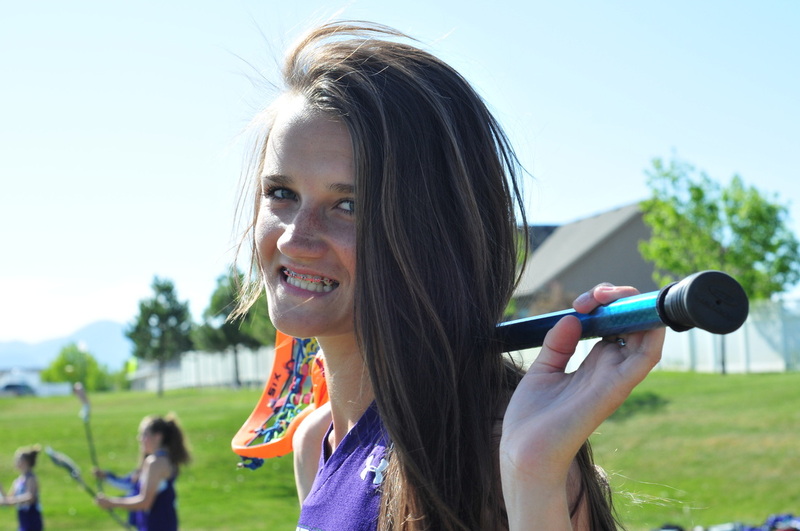 You need to be able to run a lot,” Oka said. 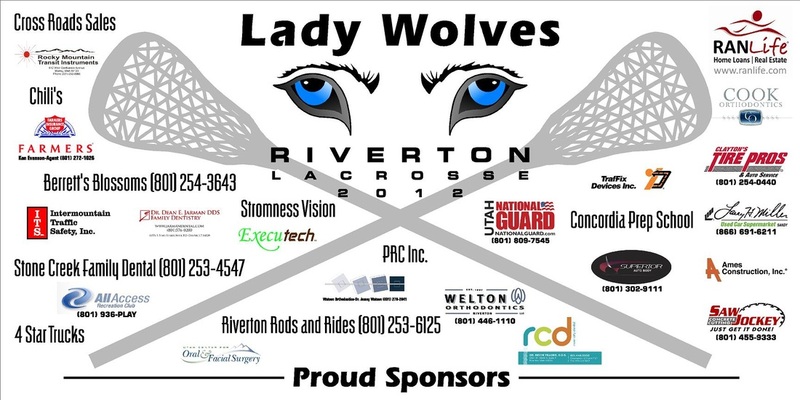 The Silverwolves lacrosse team will be participating in the Riverton Fourth of July parade and has a booth at Riverton Town Days. The fourth- through eighth- grade students’ fall season will begin in September. 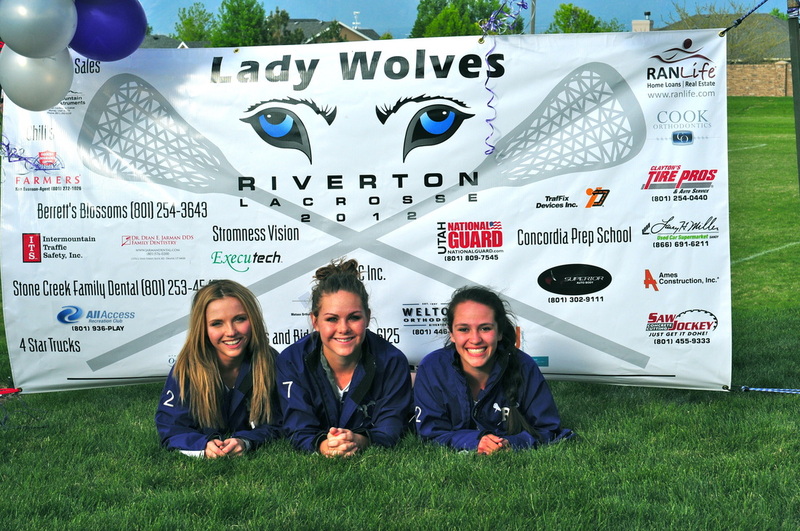 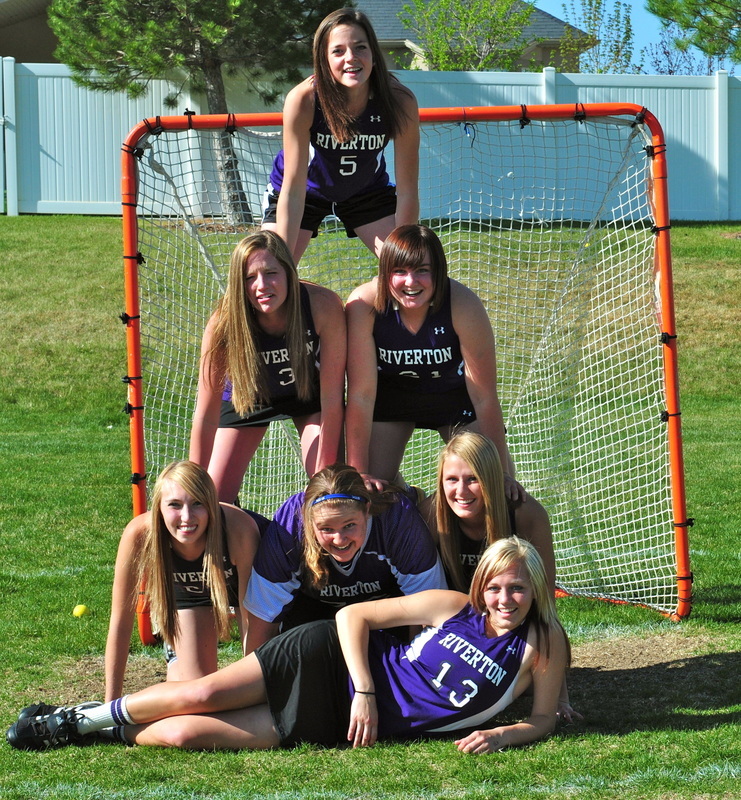 RHS GIRLS LACROSSE THANKS OUR COMMUNITY FOR SPONSORING THE RIVERTON GIRLS LAX TEAM!